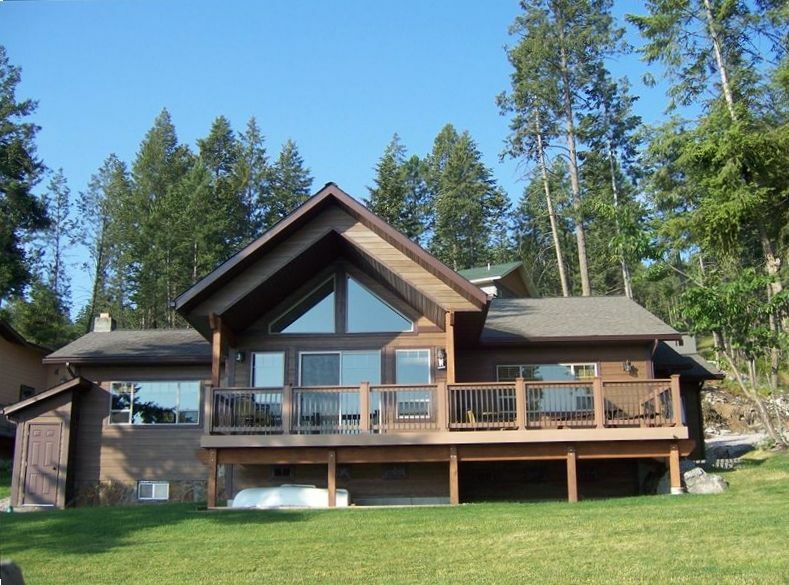 This beautiful and comfortable lake home has all you need for a fun and/or relaxing week/weekend getaway. 73 miles north of Missoula's airport (MSO) and 51 miles south of Kalispell's airport (FCA) it is conveniently located off of Hwy 93, just 10 miles north of Polson. Polson and Bigfork are both fun tourist towns with shopping and good eating. Glacier National Park is 72 miles away providing gorgeous sight seeing of majestic mountains and wild animals. Start your weekend off with an early morning fishing expedition. Top that off with a bite to eat in Polson followed by an afternoon of 18 holes at the Polson Country Club. Cook those fish up on the grill by the lake back at the house. Finish your day off with an evening boat ride on Flathead Lake. The next day you'll see lots of wildlife when you drive through the Bison Range and go on a guided horseback ride through the Mission Mountain Range. Your day will be complete after you ride the level 4 rapids on Flathead River! This property has been in the family for many, many years. So many memories have been made here and now it's your turn. A majority of our tenants are repeat visitors every summer. If there is an open window to snag a spot...take it! You won't regret it. Bathroom 1 has a large vanity sink with, toilet, and tub/shower combo. Centrally located. Bathroom 2 has a toilet, pedestal sink, and shower. Views of Wildhorse Island, Dream Island, and Melita Island. The East Shore is also visible. No additional guests allowed on property without prior approval. Subject to charge. Absolutely no overnight guests allowed.